Port of Spain mayor, Joel Martinez, flanked by Chief of Defence Staff Rear Admiral Hayden Pritchard andBritish High Commissioner Tim Stew at the official hand-over of the memorial cenotaph, ahead of Rememberance Day observations, where military will be honouring those who fell in World War I and II. Memorial Park, Port of Spain. Friday, November 9, 2018. PHOTO BY ROGER JACOB. 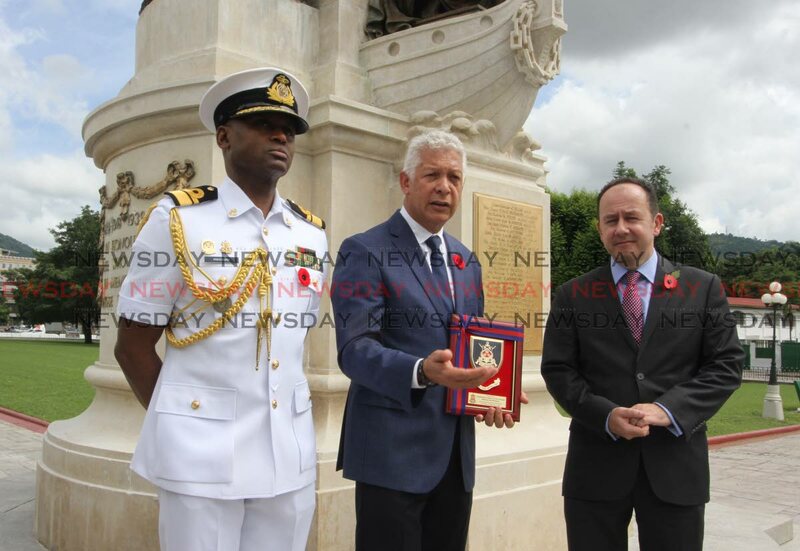 The cenotaph at Memorial Park was today handed over to Chief of Defence Staff of the TT Defence Force Rear Admiral Hayden Pritchard by Port of Spain mayor Joel Martinez after restoration was completed. 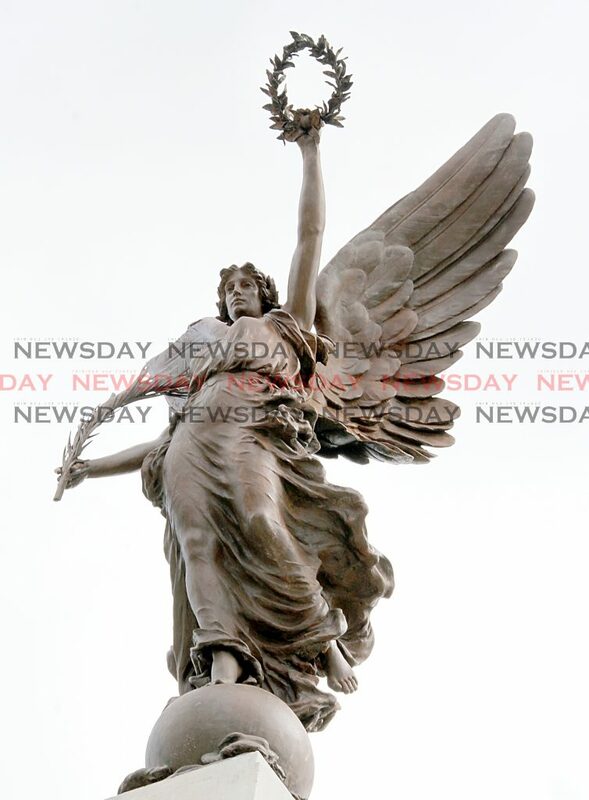 The cenotaph, erected by the city and people of Port of Spain in 1924, was restored in time for Memorial Day 2018 on Sunday. It pays tribute to those who fought in World War I (1914-1918) and World War II (1939-1945). The inscription on it reads: "In honour of all who served, in memory of those who fell." This weekend is especially significant as Sunday marks 100 years since the end of World War I. Also attending the event yesterday was British High Commissioner to TT Tim Stew. Reply to "Cenotaph restoration work finishes at Memorial Park"